Once again, it’s time for annual financial statements to be compiled, reviewed, or audited and presented to comply with bank covenants. Banks and investors generally require year-end financials to be in accordance with generally accepted accounting principles (GAAP). While GAAP requirements are geared to best serve investors as users of financial statements, many private company users include bankers and owners who care about cash flow and ability to repay debt. For example, the income tax basis of accounting requires the recognition of rent, paid or to be paid. Conversely, GAAP recognizes rent expense on a straight-line basis over the term of the lease, thereby resulting in a liability, or deferred rent, on the balance sheet for the difference between rent paid and rent expensed. Overall, the adjustments required under GAAP result in non-cash adjustments to the books of record and a thorough understanding of the technical literature. If you’re still not sure which accounting method will work best for your business, consult your owner, banker, investor or accounting professional. Kari Maue, CPA is an Assurance Senior Manager with BDO. 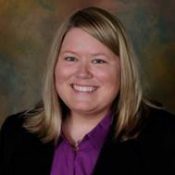 She has more than 10 years of experience working exclusively with clients in the restaurant industry and specializes in conducting and managing audits, reviews and compilations, including benefit plan audits and internal control assessments.